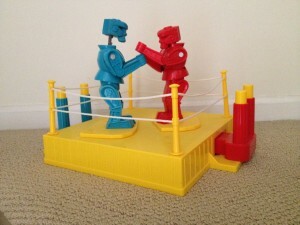 Hey, don’t knock my blog off; I trained like a welterweight to get to 26 posts! A South Jersey business friend once told me it takes 52 blog posts to double the traffic to your blog/website. With this particular offering, I hit my half-stride of 26 blog posts. It’s Worth the Trouble to Stage and Take Your Own Photos: I don’t scour the Internet for stock images on sites stipulating I give them proper credit. Instead, I use that time to design and/or capture images I think will work well with each blog post. Even if the image isn’t a direct match with the content, I get to write a (sometimes) hilarious caption that unites copy and photo into a symbiotic relationship of joy! Without my iPhone, this declaration of photographic independence wouldn’t be possible, so thank you, Steve Jobs. Do some topic brainstorming, plug your ideas into your calendar, schedule each one, write yourself a reminder regarding what the post will entail, and think of some possible images that would mesh well with your content. Date this document every time you revise it, and plan on revisiting your editorial calendar at least once a week. Return Commentary and Social Media Affection in a Timely Manner: If a real reader (and not a spammy spider) leaves a comment on your blog, reply within 24 hours. Whether the comment is positive, negative, or just plain bizarre, craft a reply that goes beyond “Great – thanks so much!” If a LinkedIn connection or Facebook friend or Twitter follower posts a comment (or shares a blog entry), reply and thank them. Your good manners online will be remembered; it’s your reputation, and it is worth managing well. Create a Social Media Posting Schedule: This doesn’t have to be complicated – it can be as simple as a 4″ x 6″ Post-it note glowering at you from an office wall. Spread your blogging love across the social media stratosphere in a strategic way. Post it to your LinkedIn status one day, your Facebook business page the next day, tweet it on Twitter several times during the week, and so on. Be diligent enough to include Saturday and Sunday in your posting schedule. Post Regularly Within Your LinkedIn Groups: I must thank Brynne Tillman of Business Development University for sharing this tip at a business networking lunch months ago. Strategically share the blog entries you post each week on LinkedIn into selected groups; you’ll widen your prospecting net across the professional universe residing within. Additionally, sharing your blog posts into LI groups will force you to assess your group memberships. You get 50 shots at it, so delete groups that don’t serve either you or your blog’s purpose; experiment by joining groups that have both reach and engagement potential. I do have a tendency to blather on, so I’ll stop. Some blogs about blogging I enjoy and admire include Bob Dunn’s (@bobwp) excellent advice, and this one, and this one. What blogs do you follow that you recommend to my gentle readers? If you’re a blogger, what other tips or secret sauce are you willing to share? Here’s to my next 26 blog posts – your topic suggestions are always appreciated!